I have moved this blog over to my Bristol Hypnotherapy website so that everything is all in one place. You can find all the posts from here on there and all future posts of course. I will no longer be adding content to this one here at blogger. 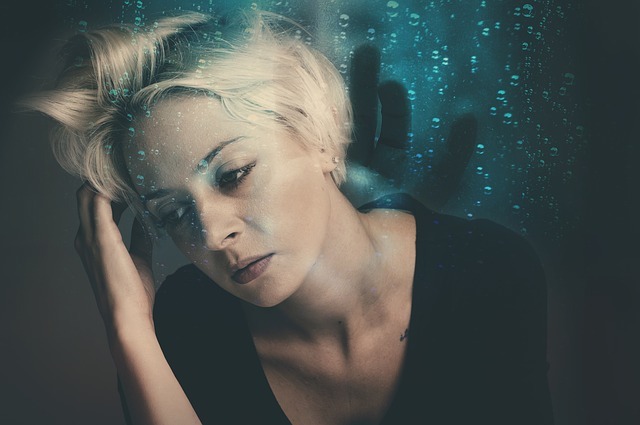 So to continue reading my posts about hypnosis, hypnotherapy and mental health issues, head on over to Bristol Hypnotherapy blog. And another belief is that worrying protects you from negative emotions. But this is so far from the truth. When you're worrying, how do you tend to feel? Not amazing I bet! You’re experiencing negative emotions as a result of the negative thoughts that you are having. They might be different emotions to the ones that you were trying to avoid but they are negative emotions nonetheless. Are Your Thoughts Setting You to Fail? Are you holed up safely in your comfort zone at the moment? Perhaps you have been in a job role for years passing up the chance of promotion in case you don't get it (or worse that you do and you have to do a different job with a whole new set of responsibilities). Or perhaps you've recently moved to Bristol but are too scared to go out and meet people. Maybe you've holidayed in England for the last decade because catching a plane abroad feels daunting. We have all been guilty of sticking within our comfort zones in various aspects of our lives. A comfort zone is defined as a situation where we feel safe or at ease. It is often a situation that we are very familiar with, that we've done many times before, hence it requires little effort. So what happens when we go outside of our comfort zone? We face the unknown, we feel vulnerable and unsure, and as you'd expect, uncomfortable. You can see why we would want to remain in our comfort zones then can't you? And when we feel stressed and anxious, our desire to remain within it is even more heightened. A comfort zone is a very subjective thing. What feels comfortable to me may feel like your worst nightmare, and vice versa. Comfort zones are not static. They change over time as we develop as a person. It is good to know that we can expand our comfort zone, that it is changeable. But it only gets bigger if we push its boundaries. This year, I set myself some goals both personally and for my hypnotherapy business. I knew these goals would mean that I would have to do things that would be outside of my comfort zone. I would be challenged by these goals, possibly feel vulnerable, nervous, and even a little anxious too (I'm only human!). Back in January an ad popped up in my Facebook feed (FB does have its uses) for a flying trapeze experience at Circomedia. So after much deliberation, I booked myself on to it. 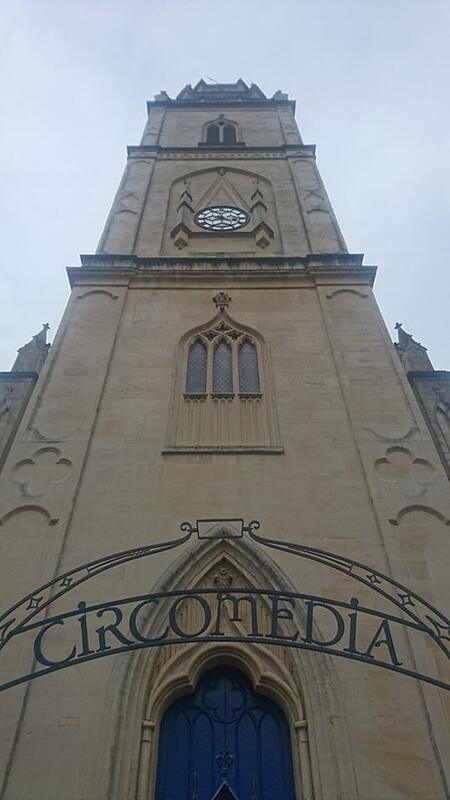 I arrived at the venue (which is an 18th century church) ready and raring to go. I admit that I was more than a little bit nervous. Perhaps I shouldn’t have watched Victor Frankenstein a few nights before which had a trapeze artist fall to the ground in a broken mess. I didn’t really know what to expect so when we were taken through a warm up routine I started to wonder what I’d let myself in for. The instructors talked us through the safety aspects and the calls they would use so we would know what to do and when. Then it was time to get in to the harness and scale the ladder. I have to say, that this was the worst bit - climbing the ladder and then transferring from the ladder on to the platform which was less than a foot wide. My heart was going ten to the dozen. Standing on that platform, holding on to the trapeze bar with one hand, leaning forward held in place by my harness as I prepare to jump off the platform and catch the bar with my other hand was a very scary prospect. But I did it and I made my first swing. When I dropped to the net below and unhooked myself from the support wires, my legs were like jelly. The adrenaline was properly flowing now and I was more than a little giggly from the experience. I was ecstatic. Next came a little training on the static trapeze, learning how to hook my legs up on to the bar, let go with my hands and hang upside down, then return to a normal swing with hands on the bar and legs hanging down. And then I was ready to do it up in the air. Whilst it was more complicated what with having to follow instructions and get the timings right, I found it less scary than that first simple swing because my mind was occupied on exactly what I was doing. Then we took things up a notch again by introducing a back flip dismount. The first one I did, I landed face down on the net but I managed to do it the next couple of times I did it. And here's video proof of me doing the flying trapeze. It was a proud moment and I was so chuffed with myself. It was an amazing experience and I loved every minute of it. It wasn't easy and it was scary but I did it. I came away from that experience thinking “If I can do that, I can do anything”. I remind myself of this now when I have to do something out of my comfort zone. And it really helps me. Like with the flying trapeze, when I’m working on my goals, I'm following a process, my own or other's instructions, and keeping focused on what it is I am doing and the desired end result. I know I'm supported and that I'm safe. After all, what's the worst that could happen? It is all too easy to stay within our comfort zones under the pretence that it’s comfortable there. But is it really? I don’t think so. Stepping out of our comfort zone isn’t actually any more uncomfortable than staying in it. It’s just a different kind of discomfort. If we take the example of someone not wanting to go out to meet new people. Stepping out of their comfort zone might mean the possibility of rejection, embarrassment, vulnerability, shyness, etc. Whereas staying in their comfort zone means they potentially remain unhappy, lonely, bored, dissatisfied etc. Both bring negative emotions that make them feel uncomfortable. But I know which is the better option, step outside! Step outside your comfort zone. Push those boundaries. Pushing yourself to better yourself, achieve goals, and face fears may momentarily cause discomfort but it brings long term comfort as you move closer to achieving what you want. It opens up a world of possibilities. It is where change happens. So get comfortable with being uncomfortable! Are Your Thoughts Setting You Up to Fail? Have you ever worried about how you're going to feel when you do something for the first time, expecting that you can't do it, that you'll mess it up or that you'll be terrified doing it? And then when it comes to actually doing that thing, you were right? You couldn't do it, you messed up or you were terrified? I think we have all experienced this at some point in our lives. Often when we have this experience we feel justified in having the worries leading up to it. But what if those worries actually caused it all to go to pot in the first place? A self fulfilling prophecy is defined as a prediction that directly or indirectly causes itself to become true, by the very terms of the prophecy itself, due to positive feedback between belief and behaviour. In the psychology and hypnosis world, this is known as response expectancy, where basically you experience what you expect to experience. 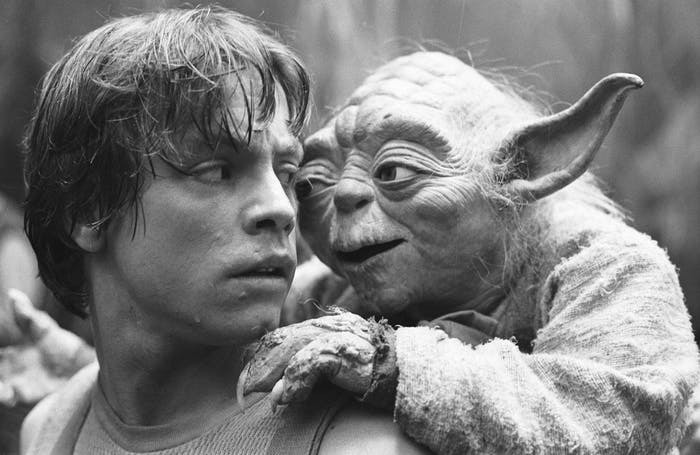 If you truly believe in your heart that you cannot do something, then as Yoda said, you will fail. It's the perfect self fulfilling prophecy or dysfunctional response expectancy. But it's not just about our expectations or beliefs determining if we succeed or fail at something. The expectations that we have in our lives can be a contributing cause of a number of psychological problems. However, they are also how we can over come them. And that is good news for us! If you expect to feel anxious when you give a presentation at work, meet someone for the first time, or have a tooth removed, for example, then it is very likely that you will experience symptoms of anxiety to some degree. It also means that the next time these things come up, you might assume that you will have a repeat performance of last time. And that's exactly what happens. And now you're far beyond the point of your bog standard anxiety. Now you're anxious about being anxious. Perhaps you go over all the past experiences where it didn't go according to plan, continue to worry about all the worse case scenarios ahead of the situations, and even start to become fearful of these situations and avoid them if you can. Things get worse. And the cycle repeats. You can really see how a problem can develop, can't you? Dysfunctional response expectancies have been shown to partially cause and maintain anxiety (Reiss & McNally, 1985) and depression (Teasdale, 1985). Changing these negative expectations are an important part of therapy (Kirsch, 1994) and helping to overcome issues such as anxiety, phobias and depression. 1. Build awareness of your thoughts. We get used to what and how we are thinking. When we have no awareness at all, our thoughts can continue unchecked and this can be quite detrimental if our thoughts are negative. Quite often our thoughts can run away with themselves. I often find that just by talking about thoughts with my clients they start to become much more aware of them. 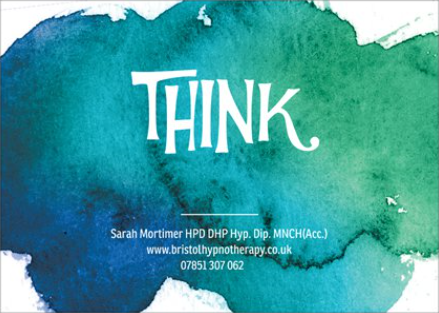 I give my clients a postcard with the word “Think” on it for them to put up around their home or at work which acts as a prompt for them to just check in with what is going through their mind at that point. This starts to become a more familiar process to them then. 2. Monitor your thoughts. Each day, write down any negative thoughts. Once you have an awareness of when you are thinking negatively about a situation or yourself you can start to do something about them. 3. Question your thoughts. Where is the thought getting you? Is it contributing to/maintaining a self fulfilling prophecy? 4. Open up to the possibility of another outcome. What if there was another outcome, one which is more positive, calm, and supportive in helping you to feel better about yourself and the situations you find yourself in? Think about whether there is another plausible outcome? How would you like things to be? 5. See the positive outcome as a real possibility. How will focusing on how you would like things to be help you? Can these thoughts create a positive self fulfilling prophecy? 6. Visualise the positive outcome. Spend some time visualising your self, believing that that positive outcome is a real possibility for you, imagine yourself accepting these new positive thoughts 100% and see this reality start to unfold in your mind. 7. Review your positive thoughts/goal daily. Post your new thoughts and positive outcome up on the wall somewhere at home or perhaps on your phone so that you can read them each day to help reinforce this new way of thinking. Now you have this new positive mindset in place, it's a matter of practice and repetition of thinking and imagining this to be your reality so that you can experience those very positive things you were expecting to happen in reality. Here, a positive cycle is then established. Slowly but surely you overcome that old problem. And you go from strength to strength, feeling calmer, more in control, and with a more positive mindset. If you would like to find out more about hypnotherapy and how I help you to create positive expectations about your future situations (and you), check out my Bristol Hypnotherapy website. - Combat Stress; Think Happy Thoughts! Breathing is important but I'm sure I didn't need to tell you that. It is automatic. Something that we just do without having to pay attention to it at a conscious level. It just carries on while we go about our day. When we are calm and happy, our breathing is relaxed, measured and regular and supports us as it should. However, when we are stressed and anxious, it starts to change. It can become shallow, faster, irregular, and sometimes we can even hold our breath. In some people their breathing can become so out of control that they find themselves hyperventilating which can make them feel light headed and weak. Whilst breathing is typically an automatic behaviour, it is something that we can also take conscious control of and make changes to. Changing our breathing has a physiological effect on the body which in turn can affect how we are feeling and thinking. This is because breathing techniques which involve regulating your breath, slowing it down, and making the breaths deeper trigger a relaxation response within our bodies. This relaxation response reduces the neurotransmitters in the brain which are associated with stress helping you to feel calmer. Of course people who experience breathing irregularities when they are stressed or anxious will benefit greatly from taking control over their breathing but you don't have to be experiencing noticeable breathing irregularities to benefit from paced breathing or breathing exercises though. Typically, we only breath in a relaxed, measured way when it is safe to do so. So by consciously controlling our breathing, whether it is causing us a problem or not, it sends a nice clear message to our brain (and our body) that we are safe and that it is ok to relax. I am going to talk about a couple of breathing techniques that I often recommend to my clients. Paced breathing is a slow, deliberate deep breathing exercise which is sustained for a specific period of time. Typically we are aiming to take a total of 6 to 8 breaths per minute. Using paced breathing for 10-15 minutes each day can really have a positive affect on your levels of stress and anxiety. Paced breathing has been researched widely to examine its efficacy and it has been found to be beneficial for a wide variety of issues, both physical and psychological. There are a number of ratios recommended for paced breathing. The most popular one is 7-11 breathing where you breathe in to the count of 7 and breathe out to the count of 11. Some people find this ratio a little tricky at first and reduce it a little, perhaps to 5-9, until they get used to taking longer breathes. Another popular one is 6-2-6-2 breathing where you breathe in to the count of 6, hold it for 2, breathe out to the count of 6, and hold it for 2. If you are in the habit of holding your breathe, I would recommend that you go for the 7-11 breathing technique as opposed to the 6-2-6-2 as the latter one could potentially reinforce your current habit of holding your breath. There are lots of great apps out there that can really help guide you through paced breathing. They indicate when to breath in and for how long, when to hold your breath and for how long, and when to breath out and for how long. These apps can be useful when you first start out doing paced breathing so that you have the guidance but once you have become more familiar with it, you will be able to do it without the app which perhaps will make it a more flexible technique for you to use. I use the rather imaginatively named Paced Breathing app but there are many others to choose from. There is also a website called eXHALeR which can guide you through paced breathing. This is a new favourite technique of mine which I learnt at the UK Hypnosis Convention from hypnotist James Tripp. I would recommend closing your eyes to do this if you can as it allows you to focus more on what is happening. Become aware of your breathing. Notice your in breath and out breath. Notice that there is a peak to both breaths, with the in breath, just where it peaks before becoming the out breath and the out breath, just where it peaks before becoming the in breath. Notice those peaks and the sensations you experience at them. Then start to make your breathing circular. A constant flow so that there are no peaks. Soften the transition between breathing in and out so it feels smooth and constant. This is another technique that I learnt at the UK Hypnosis Convention from hypnotherapist Melissa Tiers. Again, I would recommend closing your eyes for this one. Place your hand over your heart area. Focus your attention on where your hand meets your chest. Focus in on your heart. Notice it beating, any movement felt by your hand as it rests there. Then imagine that you can breath in and out through your heart. Take a few nice slow, deep breathes. Allow your breaths to be smooth, unforced and relaxed. Notice what it might look like and what it might feel like if you could breath in and out through your heart. Whilst you connect with that sensation, create a feeling of appreciation, of gratitude to boost your sense of general wellbeing. Think about what you are grateful for, appreciate in life and/or what has been good about your day. I like to do this at the end of the day as it puts me in a nice positive mood ready for bed. This is quite similar to the previous technique in that we are assigning the ability to breath to another part of our body, this time the hands. Close your eyes and imagine that you can breath in through your fingertips. With the air, comes calmness. Imagine it spreading throughout your whole body. Imagine what it might feel like and what it might look like to breath in through your fingertips and have that calmness spread throughout your body. You might include colours and/or sensations to what you're imagining. Then, imagine that you can breath out through your feet. With the air, you breath out any stress or anything else that you wish to get rid of (negativity, fatigue, tension, unwanted habits etc.). I've already briefly covered this one in the previous technique but this can be done without closing your eyes or the need to visualise anything. Just suggest to yourself that with every breath you breathe in, you breathe in calm and for every breath out, you breathe out any stress, any tension, any anxiety and fatigue. Breathe in calm and breathe out stress. You might also like to tag on an affirmation such as "I feel calm" or "I am relaxing" or perhaps just "breathe in calm, breathe out stress" with each breathe. These are just a handful of breathing techniques that I use with my clients but there are so many more out there. What's great about breathing techniques is that they are free, simple and everyone can do them. They really do make a difference. Let me know how you get on! It’s starting to feel like summer now and we’re heading in to that time of year when people start to think about their upcoming holidays that they booked in the depths of winter. We seek sun (although as I type this it’s pretty hot and sunny here), adventure and time away from the stresses and strains of every day life. Typically, once the holiday is booked, most people count down the days, so excited about their upcoming holiday but for others the time between booking that ticket and getting on the plane can be fraught with anxiety, negative thoughts and fear. And for some people just the thought of getting on a plane stops them from booking a holiday in the first place. Is this you? Fears and phobias of flying are very common and can really take the enjoyment out of holidays. Flying phobias effect people in a number of ways and can range in severity from slight feelings of anxiety and discomfort to a full on panic attack and losing control of the situation. Some people decide not to holiday abroad in order to avoid flying and the anxiety and fear that accompanies it but this only reinforces the problem. 1. Imaginal exposure. Spend some time imagining taking the flight. Not all the worse case scenarios nor your perfect flight but a more realistic representation of what happens. Imagine it as if you are actually there. It’s important that you are nicely relaxed while you do this. Notice the discomfort that you’re experiencing as you imagine it, how it plateaus and then starts to diminish the more you imagine the scenario. 2. Focus on how you would like things to be. Typically when we are fearful of something, we tend to worry about every possible thing that could go wrong. I am certain that when you think about flying, you are thinking about the worse case scenarios. When we think in this way, we create unnecessary stress for ourselves and the anxiety builds which makes us think more negatively. We get trapped in a cycle of negative thinking. So be aware of the thoughts that you are having. Start thinking about how you would to think, feel and be in the lead up to and during the flight. 3. Share concerns with others. Discuss your fear with your friends and family, especially those you are travelling with. Quite often, people keep their fears to themselves but this can make things a lot worse especially as you can start to worry about how you might appear to everyone around you and being “found out”. When people around you are aware of how you feel, they can support you through it. 4. Looking forward. When you’re scared of flying, everything becomes about the flight. More often than not, the place you are visiting, the things you’re going to do, and all the fun that can ensue, is put aside. Readdress this balance by spending time thinking about where you’re staying, what you are looking forward to seeing and doing, the food and drink you want to sample, discovering things about a place you’ve never been before and learning about the culture. 5. Be prepared. Do everything you can to minimise stress on the day of your flight. Ensure that you have packed your bags and have everything you need ready at least the day before you are due to travel. Have a relaxing bath and do other things to help you relax before getting a good night’s sleep. If you have time in the morning, have breakfast. Leave plenty of time to get to the airport so you don’t have to rush or worry about whether you’ll miss your flight or not. These are all simple things to support you physically and mentally, helping to take the load off for when you travel. 6. Avoid alcohol and caffeine. Some people have a few drinks before or during a flight to give them a bit of Dutch courage, to help them through. This is a bad idea. Alcohol is a depressant and can lower your mood, make you more anxious, and reduce your ability to control your thoughts and feelings. Caffeine can make you feel jittery and more anxious so it’s best to avoid it before and during your flights. 7. Occupy your mind. Some people are inclined to just sit and not do anything as they feel that they need to focus all their attention on not falling to pieces. Unfortunately this tends to have the opposite effect than intended. My advice is to do things to occupy your mind in order to reduce the introspection and rumination about the flight. So when you are waiting for your flight at the airport, browse the shops and duty free, go have something to eat or drink, and spend time chatting to the people you are travelling with (or anyone that will listen if you’re travelling alone). Make sure you take a book, magazine, phone and/or tablet with you so that you can entertain yourself during the flight. If you are going on a long haul flight then you will have the inflight entertainment as an option so spend some time browsing what’s on offer. If you have a relaxation audiotrack, make sure you have it loaded on your phone along with earphones so that you can listen to it. 8. Be present. When we are worried about things, we can lose ourselves in our thoughts and all manner of crazy things can come up. By shifting your focus outwards, to your environment, you start to focus on what is actually happening rather than what you think is happening. Focus on your senses, what you can see, hear, taste, touch and smell. Focus on things that are positive and neutral though. 9. Relax. Spend some time tuning in to your body and releasing any tension that you might have. A favourite technique of mine is tensing the muscles in your feet then relaxing them off, and systematically working your way up through the rest of the body. By tensing the muscles first, it makes it easier to relax the muscles afterwards. 10. Breathe. Breathing techniques help to trigger the relaxation response. Even if your breathing is fine, they are excellent, simple tools that you can use to help you feel more in control. 7/11 breathing is a popular one, whereby you breath in to the count of 7 and out for the count of 11 but there are others too which you might find more suited to you. These top tips can help you feel more prepared and in control when you fly. Hypnotherapy is also very effective at helping you to change how you think and feel about flying. When I work with flying phobia clients, we delve deeper in to the tips I’ve given above and explore other avenues too. I help you to identify negative thinking errors about the flight, and teach you how to dispute the thoughts and beliefs that you hold about flying and reconstruct them in to something more positive that brings down your anxiety and fear. Imaginal exposure and desensitisation forms a huge part of the work I do with clients. These techniques have been used in clinical practice for over 50 years to help people overcome anxiety and fear and have an incredible evidence base supporting them. I will also teach you methods of relaxing as well as how to control your feelings helping you to reduce those physical feelings typically associated with anxiety and stress such as heart palpitations, rapid breathing, and sweating, among others. Flying phobias vary massively from person to person so I tailor my sessions specifically to you. Hypnotherapy gives you the necessary tools for you to be able to board that plane, take off, be at altitude, experience turbulence and land in a calmer way where you are in control of how you think, feel and behave. 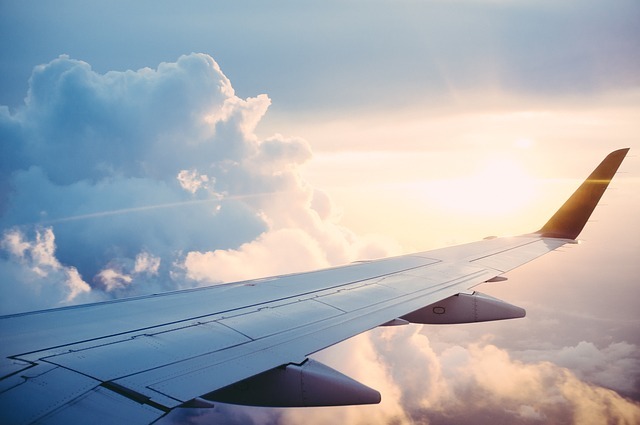 I'm not saying that you will go from having an intense fear of flying to absolutely loving it but hypnotherapy can help you to cope with it effectively so that you can enjoy your holiday more thoroughly. If you would like to find out more about how hypnotherapy can help a flying phobia, check out my phobias page on my website. It is IBS Awareness month so I thought it would be an apt time to write a couple blog posts on Irritable Bowel Syndrome and how hypnotherapy can help with it. In the first post I talked about a number of research studies which have been conducted over the years which show the efficacy of hypnotherapy for IBS. I purposely left out the details of the research conducted at Manchester by Dr Whorrel et al. In this post, I will be talking about the approach used within this research. I utilise many of the methods outlined in the research with my clients and they have benefited greatly from it. The researchers in Manchester have studied gut-directed hypnotherapy for many years now and it has shown some great results. It led to the inclusion of hypnotherapy in the NICE guidelines so that GPs and Consultants can now recommend IBS patients have hypnotherapy to help with their symptoms. The rationale behind using hypnosis for IBS was to help participants learn mental skills and techniques to develop control over the physiological mechanisms influencing the gut that they are not normally under conscious control of. In 2009, a German researcher called Karin Meissner gave eighteen healthy volunteers a placebo pill on three occasions together with different verbal suggestions depending on which pill they received. One group were given a placebo pill and were told “This pill is a stimulant to your stomach. You will feel your stomach churning within the next 5 to 10 minutes, and this will reach a peak in about 15–20 minutes, at which time you may feel some heavy stomach contractions. Then it will wear off gradually, and be gone after 30–40 minutes”; the second group were given a placebo pill and told "This pill is a relaxant to your stomach. You will feel your stomach full and heavy within the next 5-10 minutes, and this will reach a peak in about 15-20 minutes, at which time you may feel bloated. Then it will wear off gradually, and be gone after 30–40 minutes“; and the third group were given a pill and told “This pill has no effect. We use it as a control, a mere sugar pill, to see the effects of just taking a pill on stomach activity. You won't feel anything.” The research showed that those who took what they thought to be the “gastric stimulant”, experienced an increase in movement through the gut, while those who took what they were led to believe as the “gastric relaxant”, experienced slower movement through the gut. Although not directly studying hypnotherapy or IBS, this piece of research does illustrate the power of the mind and how it can be used to control the physiological mechanisms involved in digestion and gut motility and therefore help with the symptoms of Irritable Bowel Syndrome. The sessions that the participants received focused on a number of techniques to help with stress reduction, a known trigger of IBS symptoms, in addition to confidence building so that they felt able to feel in control of their condition. More specific techniques aimed at controlling and normalizing how the gut is functioning were also taught to the participants, such as creating warmth in the hand which can then be used to sooth and comfort the stomach area as well as using imagery to regulate and control the flow of the gut. Participants also spent time mentally rehearsing themselves in situations that in the past they might have feared or avoided due to their IBS symptoms but now with normal gut function. Other aspects were looked at too depending on the individual. The rate of progress for the participants differed as you would expect, but most reported some initial benefits after a few sessions and of course a more significant improvement throughout the course of therapy. Participants of the gut-directed hypnosis at Manchester, as well as my own clients, have derived a considerable amount of benefit from learning these techniques. They have experienced improvements in their bowel symptoms of IBS, their mental wellbeing and quality of life. 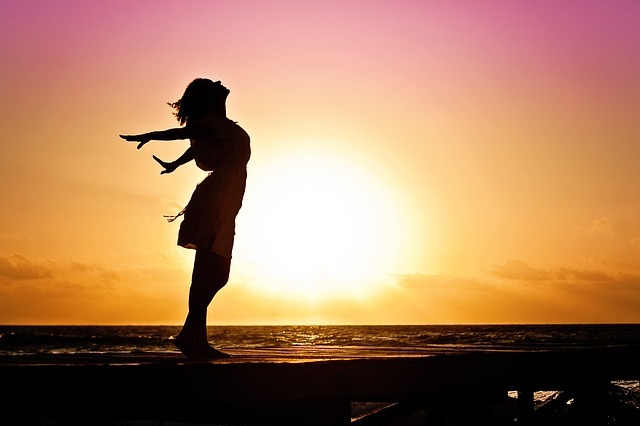 Hypnosis is not a cure for IBS and cannot guarantee that you will never have symptoms again but you can definitely achieve a good reduction in symptoms and gain more control over the condition and life generally. I have seen a number of clients over the years who come to have hypnotherapy for their IBS thinking that it will miraculously get rid of their symptoms without them having to put any effort in to it at all, just like popping a pill. It doesn’t work like that unfortunately and as you can see above, the patients who benefit most from this approach are those which put in the time and effort to learning and practising the techniques taught to them during the process. Hypnotherapy can be a real game changer for those suffering from IBS if they choose to engage fully in the process. If you are suffering with IBS in Bristol and would like to find out more about how Hypnotherapy can help you, please visit my dedicated IBS webpage on my website.